They say a picture is worth a thousand words. And starting this month, with the help of a little window cling, the LGBT Chamber of Commerce is letting businesses put some important words on their front door. Notice a few of these rainbow window clings on businesses already? 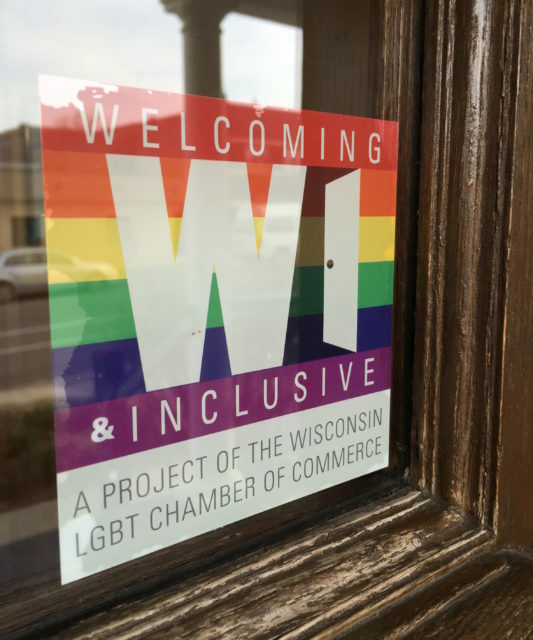 It’s part of a new project by the LGBT Chamber of Commerce called “Welcoming and Inclusive.” For the first time in Wisconsin, these window clings are giving businesses the opportunity to openly identify as LGBT-friendly to the public. ....LGBT individuals are willing to spend up to two time as much on a product or service it if meant they were supporting [a business] that supports them. 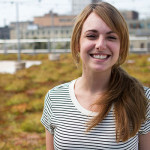 But are these exclusive to local businesses or the Milwaukee area? Nope. Jason says the stickers are welcome to all, and he and his team are excited to see them slowly start popping up throughout the state. Want to snag one of these Welcoming and Inclusive stickers for your business? You can grab your own here and learn more about the LGBT Chamber of Commerce on their website at www.wislgbtchamber.com. Listen to my full interview with Jason by clicking the podcast player above.